The Siemens Pure Charge&Go Nx 7 is Siemens’ newest, premium-level, “made-for-iPhone” hearing aid with advanced “Own Voice” technology* plus rechargeability. Own Voice Processing detects your own voice and adjusts automatically to provide clearer, sharper hearing in conversations. Siemens Pure Nx continues a tradition of technological excellence with advanced features like automatic adaptive directionality, SpeechFocus, Tinnitus Management and discrete control from your iOS based smartphone with the myControl app. Siemens Pure Charge&Go Nx 7 uses high-definition binaural technology to combine the input and processing power of a pair of instruments to allow you to hear more clearly in even the most challenging situations. This “made-for-iPhone” hearing aid gives you high-fidelity speech discernment with true aid-to-aid communication for better awareness of your surroundings. You can now enjoy “better-than-normal” hearing (according to clinical studies) and direct streaming of calls and media from your iPhone. EchoShield — Reduces reflected sounds in larger rooms that have reverberation. Binaural OneMic directionality — Improves ability to understand speech coming from any direction. 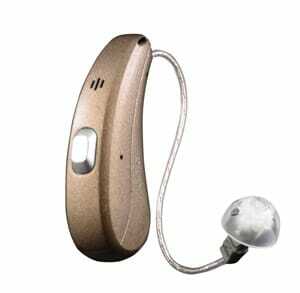 Spatial SpeechFocus — Targets speech regardless of direction while maintaining awareness of sounds around you. Extended Bandwidth — Amplifies high frequency speech sounds for better distinction of hard-to-understand words. Adaptive streaming volume — Automatically adjusts the volume of streaming media depending on the level of background noise. eWindscreen binaural — Uses both instruments to sample your environment reducing wind noise.